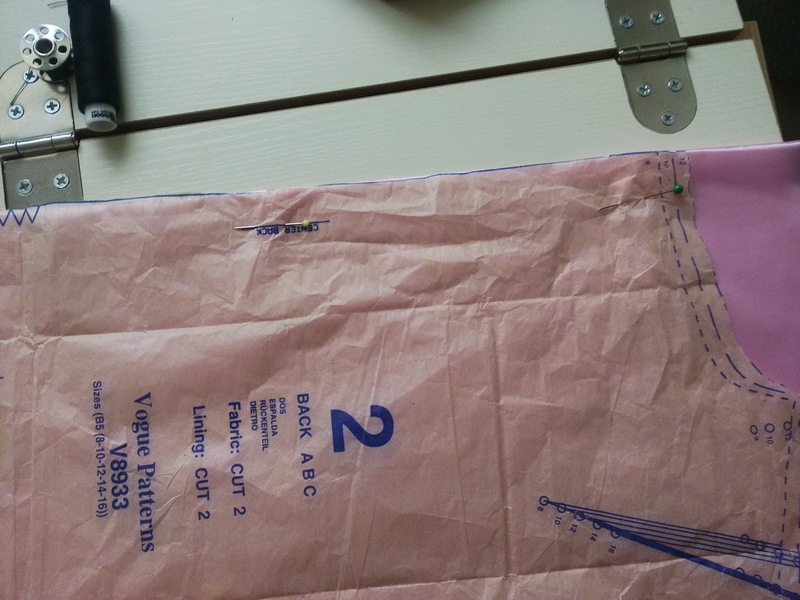 HOW TO SEW COATS - YES ITS EASY! 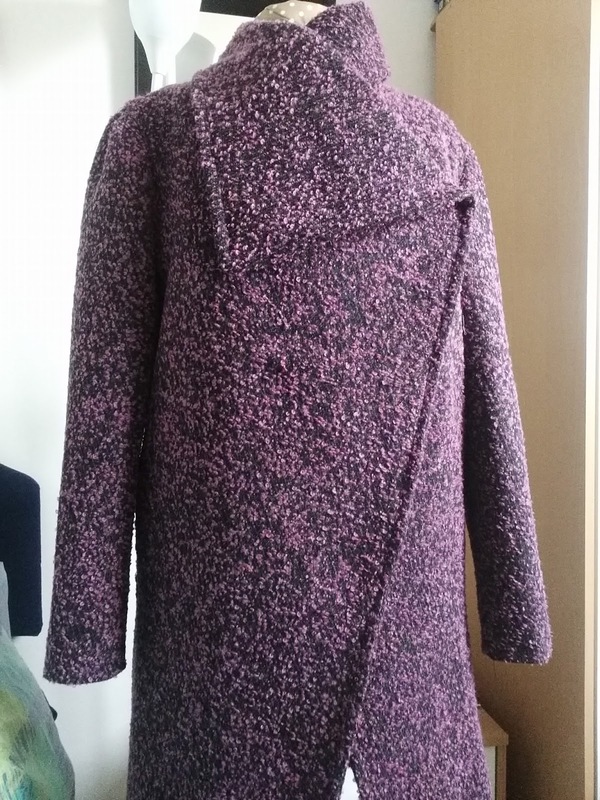 Do not be put off by making your own coat. It really is very easy if you follow a few simple tips. 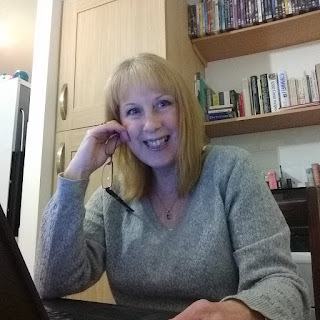 What is it that puts you off most? 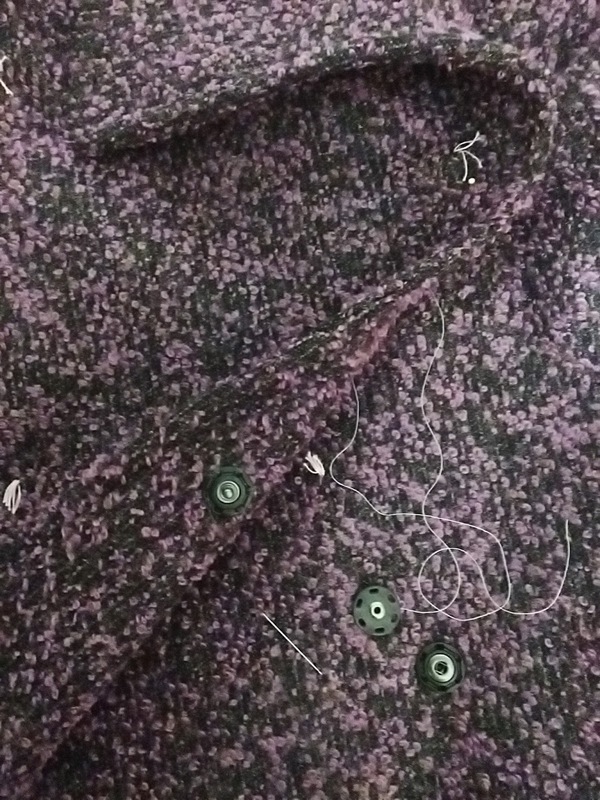 usually people say buttonholes.Well, this coat uses sew on poppers, so what could be simpler than that? a future post will feature a coat which fastens with a chunky metal zip. 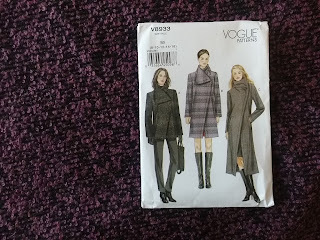 This is a very warm wool blend fabrics which I picked up in one of the bargain bins but do have a look at their online store as they have lots of fabrics to choose from. Wool tweed is easy to sew, and very forgiving for beginners so it is a good choice. If you are new to sewing then I would choose something without a definite pattern on it so that you need not worry about pattern matching. 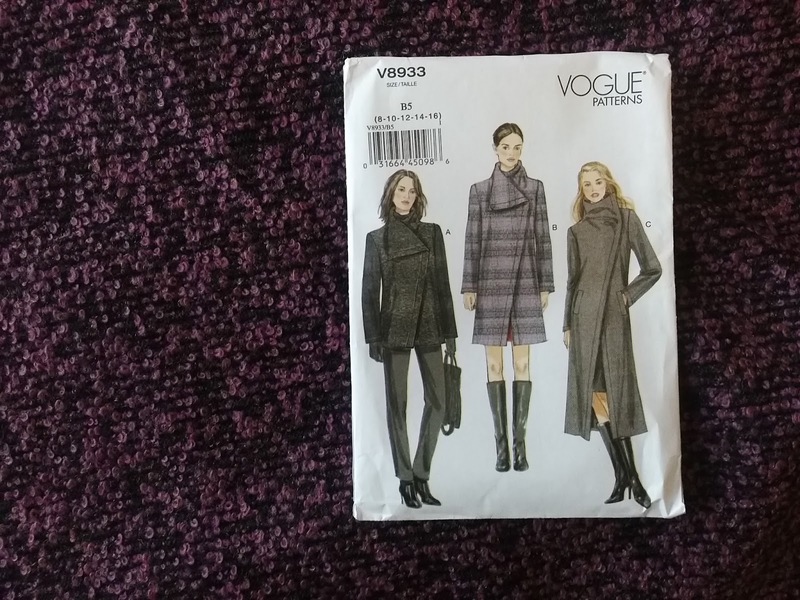 The pattern is Vogue Vogue 8933 It is fairly straightforward, the only time you need to take care is when it comes to attaching the facing at the back, but we will come to that later. Pre shrink your fabric with plenty of steam from a hot iron and a pressing cloth. leave to dry. It is necessary to transfer all the pattern markings onto the fabric and with thick fabrics the best way to do this is to use tailors tacks It is available here Guttermann Tacking thread it is very cheap and because it is made from 100% cotton, which is rough to the touch, it stays in place until you remove it. 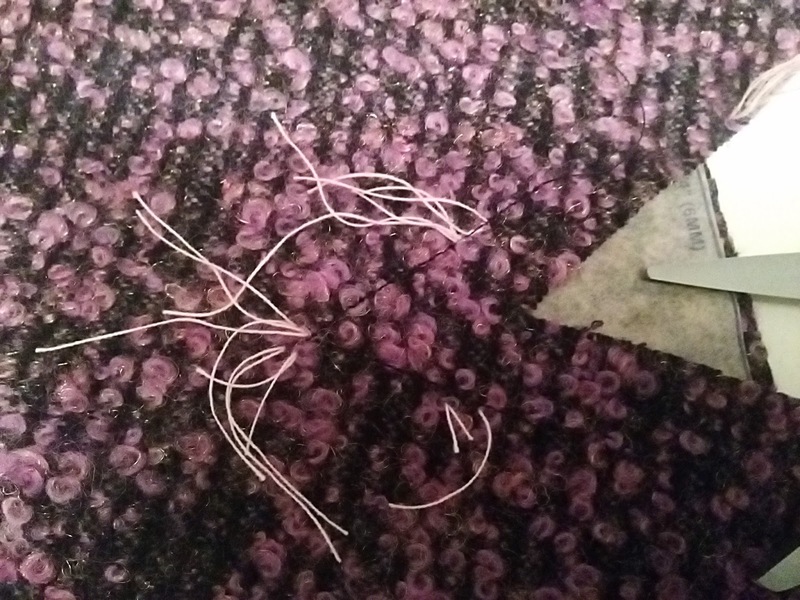 You will need a new sewing machine needle for your machine sewing machine needles I would recommend a 14 or even a 16 depending on the thickness of your fabric. 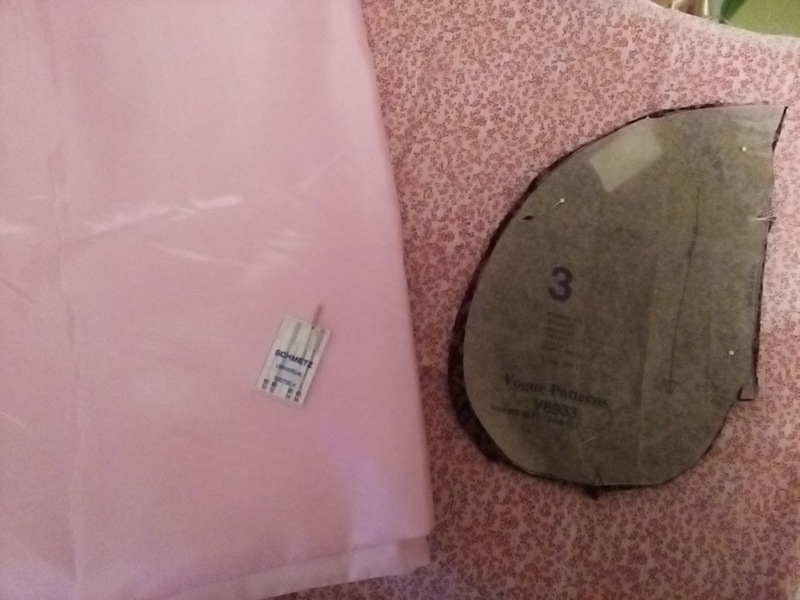 You will also need some woven interfacing woven interfacing It is important to use the correct interfacing so that the weight of the fabric is supported.These days iron on interfacing is available which.makes life easier. 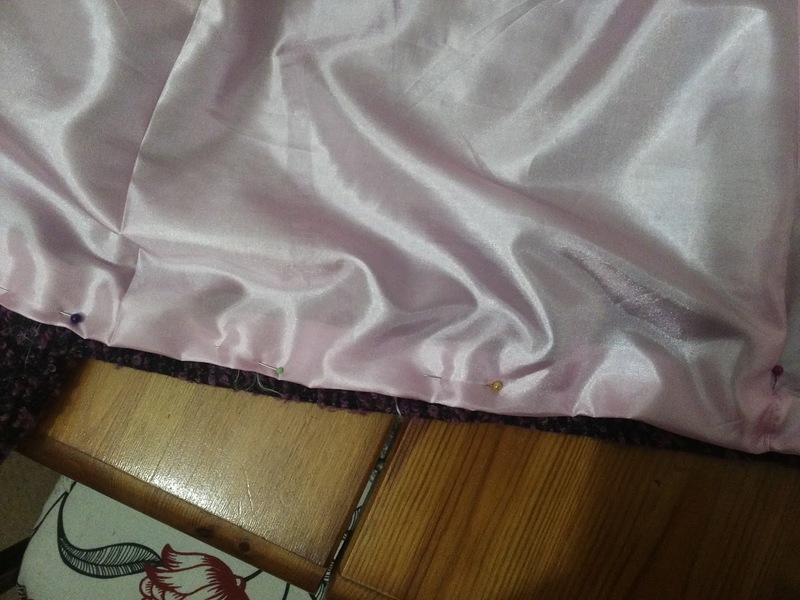 When I was at college my fingers used to bleed because we had to use a prick stitch to attach the interfacing and to mould the fabric into something three dimensional. prepare the shoulder darts by stitching long the marks made earlier with your tailors tacks. stay stitch the corners where marked and clip diagonally right up to the stitches. 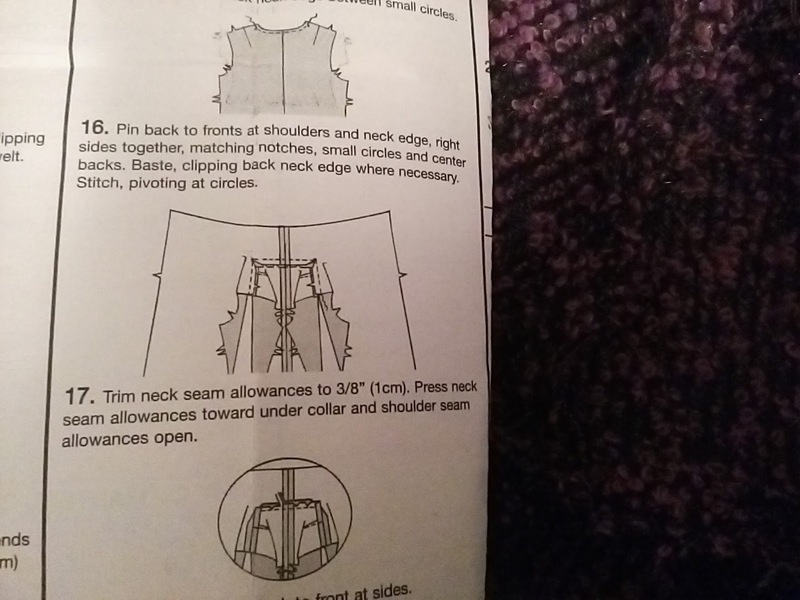 The pattern instructions are very clear at explaining how to stitch the shoulder seams so follow them exactly. When it comes to stitching the pockets in place I prefer to use a cotton fabric instead of lining fabric for the back of the pocket - unless I am using satin of course! Cotton is stronger than taffeta lining and I want strength in my pockets! for that same reason I stitch the pocket bag twice for strength. 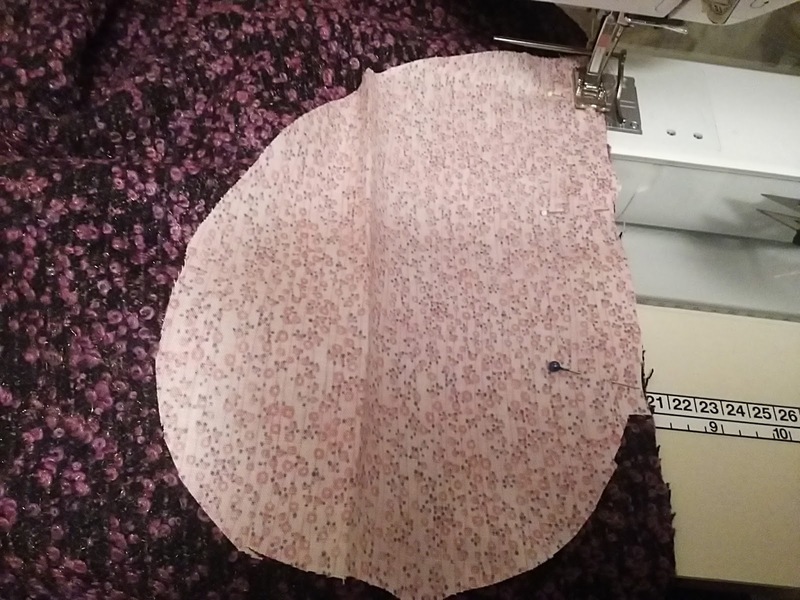 when cutting out your lining you need to form a pleat at the centre back for wearing ease.A lining which is snug will split in wear.so position your back lining pattern piece ( whch in this pattern is the back pattern piece) one inch away from the fold ofthe fabric.press the fold in place . 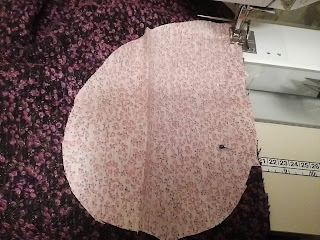 Then stitch along the fold-line for about four inches starting at the top. leave the bottom to see later how much ease you need. Then stitch the dart as before. 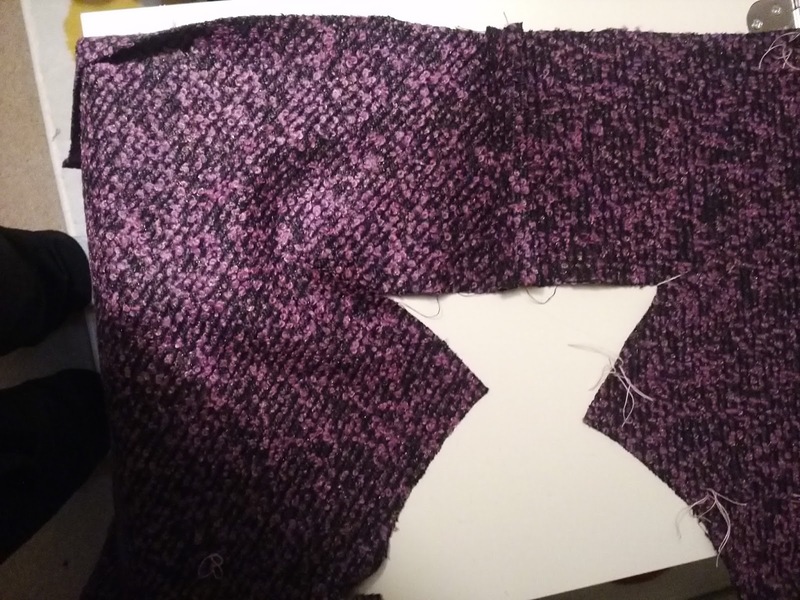 This is the only difficult part of the pattern so take your time and if you want to you can stitch it in sections. This is where you will appreciate all the tailors tacks you put in earlier. stitch the side seams in the lining. We now need to join the lining to the outer shell. Starting at the top pin together. marking the turning points with an erasable pen to make sure that the corners are neat continue pinning the sides. 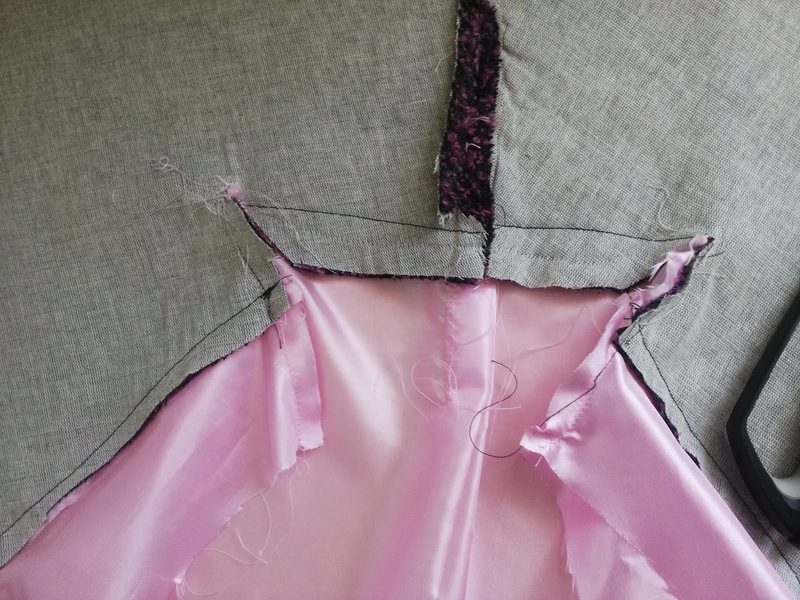 Trim the interfacing away from the edge as close to the stitching as you possibly can. 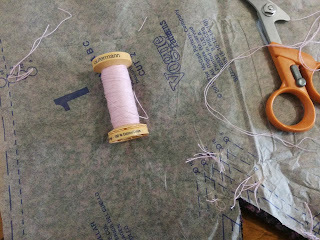 Then trim and grade (layer) the seams to get rid of as much bulk as possible. 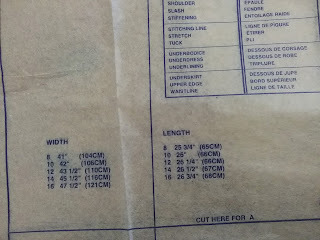 Trim the corners off and clip into the curves. Press and use clips to hold the edges together. I love these Wonder clips instead of pins Clover Wonder clips they come in various sizes and quantities and are indispensable for any sewing job. Do try them! Stitch the sleeve and lining seams and run a basting stitch along the top of each sleeve and lining piece so that they can be eased into place. To stabilise the sleeve edge I like to use some iron on seam stabiliser along the seam line but this is optional. 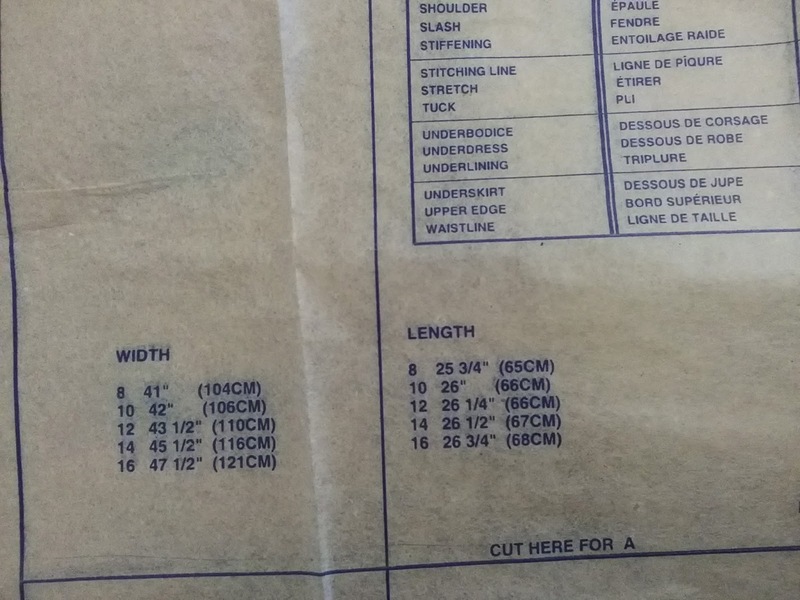 This is the product Seam tape interfacing It gives a clean edge to sleeves and hems. 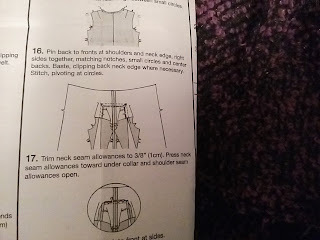 Set in shoulder pads Tack them loosely but firmly in place so that they do not move in wear. 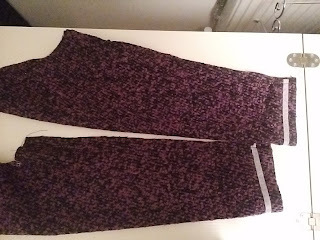 stitch the sleeve hems as well. 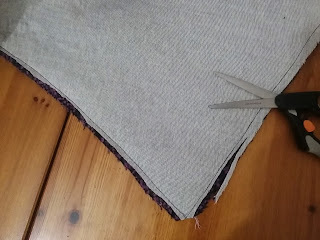 Turn up the lining hems pushing them away from the edge so that the lining s slightly loose and does not pull in any way. Slip stitch neatly in lace. 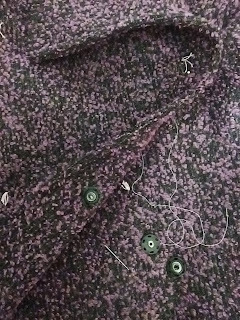 Using the tailors tack markers, checking first that they still line up correctly, sew large poppers to the coat making sure that no stitches show on the right side. 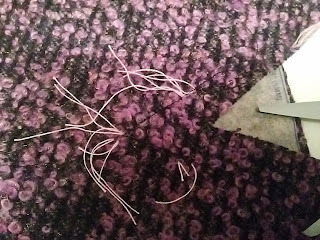 check for loose threads, give it a final press and be proud of all the money you have just saved by making your own wonderful coat! This stye is very different with the asymmetrical line throughout. 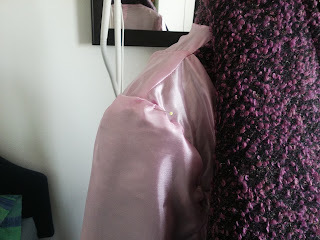 The poppers - you can use buttons instead if you want to, or non - sew poppers. 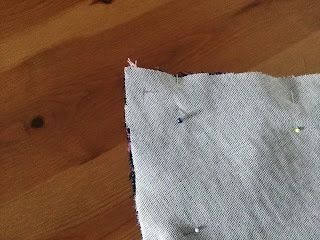 The whole point of sewing is that you make the garment your own. 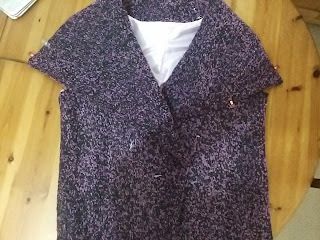 The design called for hooks and eyes to hold the collar together but I did not use them as i knew I would never wear the collar fastened up - it is too large for my frame, but add them if you like the look. This is my selfie taken whilst writing this blog. Thankyou for reading it. I hope that I have inspired you to make your very own coat.